Ahh, so much has happened since I last wrote anything that wasn’t a toy review. 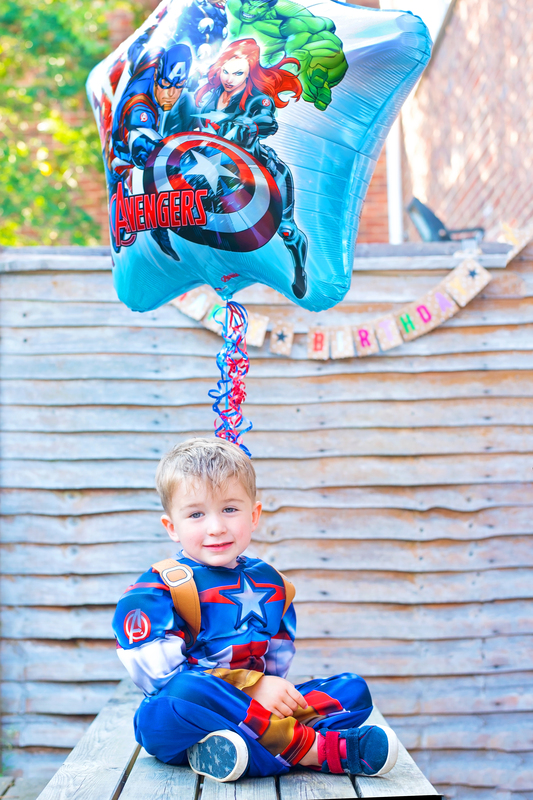 Hero is four, we’re back from Paris and it’s nearly the summer holidays! We celebrated with a BBQ or two at the weekend in the back garden with our Spiderman paddling pool and a newly mended trampoline [thank you, Gorilla Tape!] On the downside, our chain-smoking neighbour has returned to her home [hopefully to rent it out again very soon], Dad [Grandad] has been poorly and in hospital again, and I’m getting more and more frustrated by the lack of space in our home. I feel as though I’m suffocating and there’s no way out except to throw everything away that we own – which feels like a very good idea at the moment. Slimming World wise, I’ve lost 16lbs in the past four weeks. I think you all know by now that I don’t actually follow the Slimming World plan, but I do go to the meetings and use my common sense as to what to eat and what not to eat. It’s the support that’s the most important to me, and our group is just amazing for that. I worked out a new target last week with my consultant and I have around 2 and a half stone to go to reach my [slightly unrealistic in my eyes] target. Sports days were fun – even though I burned like a lobster on my shouder and forehead for Lyoto’s morning on the field! Yotie came first in his race and his team also won the trophy this year! Jensen’s wasn’t so much fun for him as he was in a group of mixed year children – some which were boys with obnoxious attitudes and no parents attending to keep them in check. We kept Jensen’s spirits up though and cheered him on through every event, and he beamed as he did the hurdles like a pro. So proud of him – I could never hurdle, no matter how hard I tried. There’s something in me that refuses, like a horse before a jump at the races. Both Jensen and Lyoto have new teachers for September 2018 that we’ve never had before. Jensen’s is a job share class which I’m not fond of at all having been a teacher myself for quite some time, but we’ll see how that goes. Lyoto is delighted to have a teacher he’s been hoping for after this year of knocked confidence and frequent sadness about going to school. His new teacher is a man he’s been at the school’s LEGO club with a few times, and he’s absolutely delighted to have a familiar classroom helper – a lady he met in year R who helped him with his speech therapy – in the classroom alongside him next year. Hero will be staying on at pre-school as I decided that I’d rather he started school next year and thrived instead of just coped with his education. I’ll let you all know how that works out as we are waiting on an answer from the County Council as to whether they will support us or not. We have nothing at all planned. Boo. I’m pretty miserable about that, but the boys are visiting Granny and Grandad for a week in August and then we have two of their cousins coming to visit the week afterwards. Honestly, personally I’m pretty unhappy at the moment. The house, a work backlog, bits I need to take care of that involve a confrontation of some manner, and feeling alone and powerless in my own life and quite unappreciated are all feelings that are wearing me down. How lovely for you all to read that! 😉 I thought I’d try and be more honest on here as generally I present the world as sunshine and snapdragons, but as I don’t have anyone else to complain to, I’m going to pound it out here on the keyboard this month. On the upside, I’ve managed to read a few Debbie Macomber books and my skincare routine before bed has improved drastically. I thought I’d better end on a high note! My Disney editing has begun – the first post will be up sometime next week, fingers crossed! I’m also going to be writing about my favourite photography gadgets as I’ve had a few emails and Instagram Messages about what I use when I go on holidays or daytrips to capture our memories. Hope you’re all having a great week – the school summer holiday countdown is on! Hero’s actual birthday post coming soon. Thanks Helen – you’re so right – it’s just when there are SO many parts of the house that need doing, it feels like it’s never going to happen. I think I need a miracle! Lyoto has just felt the same about his job share this year, I’m glad to put it behind us :/ Our neighbour loves to smoke right outside her back door, which is next to ours. I’m at my wits’ end at the moment with her. I hope yours decides to quit! I’m sorry you’re not overly excited about life right now. What helps me when I just feel way too overwhelmed are LOTS OF TO DO LISTS – everywhere! And then I feel so damn good when I CROSS EVERYTHING OFF! hahahaha! Also, congrats on your 16 pound WEIGHT LOSS! That’s amazing news! Hey hun, I am sorry your feeling down at the moment. It’s so hard when you feel there is so many negative things going on, you struggle to see through it. I often feel like this by the end of the school year. We all need a break!